Workers Party of Bangladesh President and Social Welfare Minister Rashed Khan Menon on Saturday said BNP should take part in the next general elections as boycotting the polls will be suicidal for it, reports BSS. "I think BNP will join the next general elections and it will be the right decision for them (BNP) as boycotting the polls will be suicidal," he told a public meeting organized by his party at Shaheb Bazar Zero point in Rajshahi this afternoon. Menon said the next election will be held under the present government as per constitution. Workers Party of Bangladesh General Secretary Fazley Hossain Badsha, MP, also addressed the meeting with the party's city unit president Liakat Ali Liku in the chair. 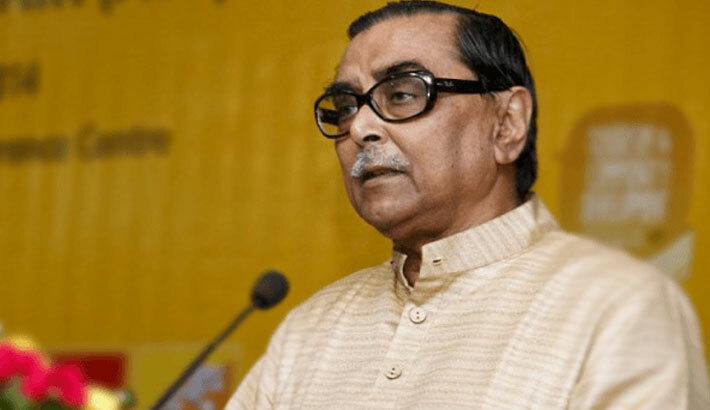 Menon said that the BNP has attacked the values of Bangladesh's independence by providing shelter for people tainted by communalism and militancy. He said, "Without eliminating Jamaat from the soil of this country, the departed souls of martyrs will not get peace." "Securing the value and awareness of independence and to save the country from the dark grip of BNP-Jamaat, the forces of Liberation War have to be united forgetting all discrimination," he added. He told the public meeting that Rajshahi-Kolkata Moitry train will be launched within next one of two months adding that initiative has been taken to full-length operation of Rajshahi Silk factory.